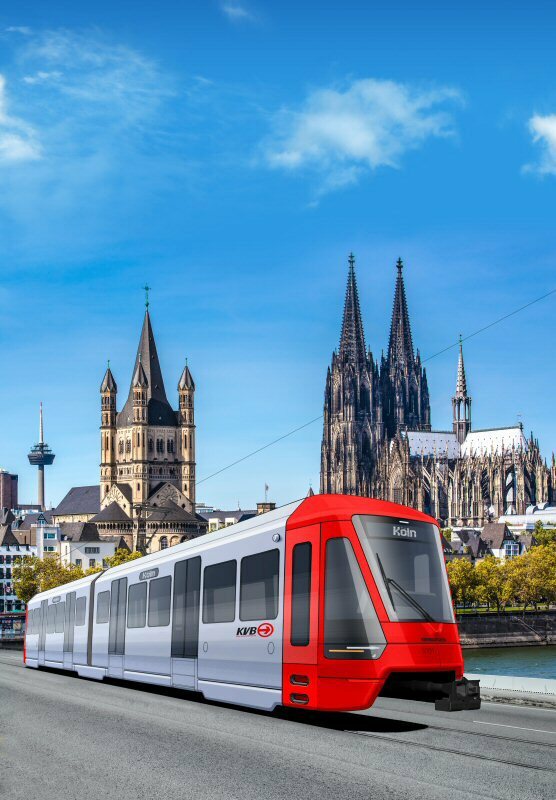 Rail technology leader Bombardier Transportation, has signed contracts with both the Düsseldorf (Rheinbahn AG) and Cologne transport authorities (KVB) for the delivery of 62 FLEXITY light rail vehicles in total. 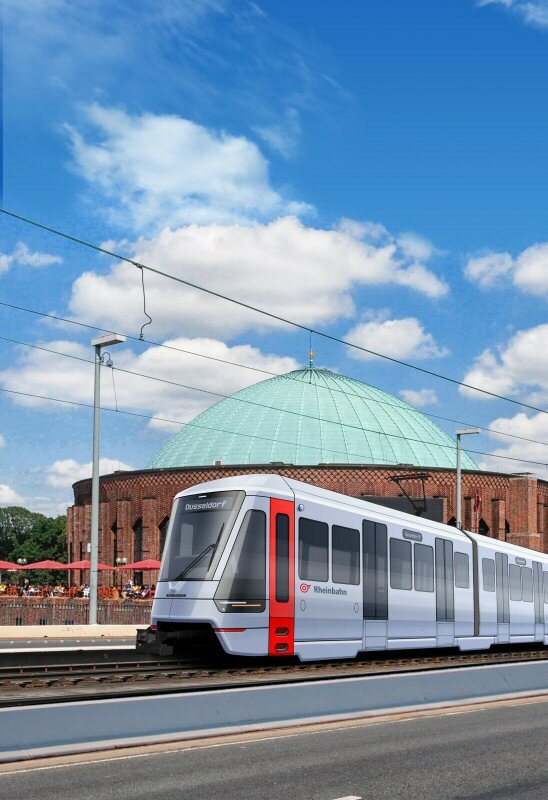 The contract with KVB is for 20 vehicles and is valued at approximately 64 million euro (68 million US). 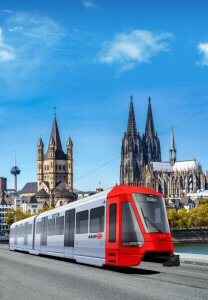 Rheinbahn AG's contract for 42 vehicles, with an option for 16 additional vehicles, is valued at approximately 127 million euro (135 million US). 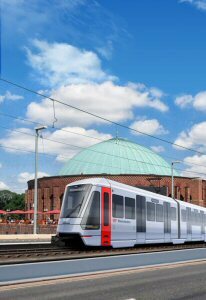 The light rail vehicles to be built for Düsseldorf and Cologne, will replace the region's existing fleet of Stadtbahnwagen Bs and be manufactured at Bombardier sites in Germany. Düsseldorf's vehicles are scheduled to be delivered between 2017 and 2020, while those for Cologne are scheduled for delivery between 2020 to 2021. Dirk Biesenbach, CEO of Rheinbahn AG said, "We are delighted that we have managed to carry out this tender in cooperation with the Cologne Transport Authority. Together we are acquiring modern and attractive vehicles for Düsseldorf and Cologne." Jörn Schwarze, CTO, KVB added, "The contract has been awarded based on the most economical offer. Particularly worth mentioning are the low lifecycle costs and easy maintainability. We are convinced to have chosen the most cost efficient and cost effective solution." The FLEXITY light rail vehicles are 28 meters long, feature generous passageways, and spacious multi-purpose areas. To date, more than 550 FLEXITY light rail vehicles of this particular type have been sold and this innovative vehicle is already in revenue service in Bursa Turkey, the German cities Cologne and Frankfurt as well as in Manchester, UK. Worldwide, Bombardier now has more than 4,000 trams and light rail vehicles in successful revenue service, or on order. Bombardier Transportation, a global leader in rail technology, offers the broadest portfolio in the rail industry and delivers innovative products and services that set new standards in sustainable mobility. BOMBARDIER ECO4 technologies - built on the four cornerstones of energy, efficiency, economy, and ecology - conserve energy, protect the environment and help to improve total train performance for operators and passengers. Bombardier Transportation is headquartered in Berlin, Germany, and has a very diverse customer base with products or services in more than 60 countries. It has an installed base of over 100,000 vehicles worldwide. Bombardier is the world's largest manufacturer of both planes and trains. Looking far ahead while delivering today, Bombardier is evolving mobility worldwide by answering the call for more efficient, sustainable, and enjoyable transportation everywhere. Our vehicles, services and, most of all, our employees are what make us a global leader in transportation. BOMBARDIER, FLEXITY, ECO4 and The Evolution of Mobility are trademarks of Bombardier Inc. or its subsidiaries.